ACFO will put the focus on the fleet challenges involved with new technologies, data usage and compliance at its spring seminar. The ACFO spring seminar will explore GDPR as well as other fleet challenges. Taking place on 18 May at the Vox Conference Centre, Resorts World, Birmingham, from 10am, the ‘Let’s Explore: Fleet Management for Today and Tomorrow’ event will look at how the ‘connected car’, business Mobility-as-a-Service (BMaaS) and driver demands must be balanced against running a business-critical vehicle fleet that is fit-for-purpose. 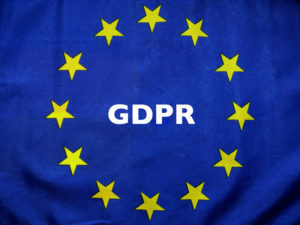 It will also provide advice on how the new General Data Protection Regulation, which becomes effective on 25 May, will impact on fleet operations. John Sixsmith, fleet manager Altodigital Networks, which operates a 161-strong car fleet equipped with TomTom Telematics, who will provide a view on efficiency, compliance and driver safety. The event will conclude with a ‘Question Time’ panel, chaired by ACFO chairman John Pryor, with guests including: Chris Chandler, principal consultant, Lex Autolease; and Justin Whitson, chief executive of mobility specialist Fleetondemand. To book a place at the seminar email Fiona Spencer at [email protected] go to www.acfo.org.